We effectively resolve marital issues, so that you may engage the future with confidence. We provide highly skilled representation in all aspects of family law, including divorce, legal separation, custody disputes, child and spousal support, post-nuptial agreements, property division, paternity, grandparent’s rights, enforcement of judgments and orders and post-divorce decree modification. The use of the internet or this form for communication with this office does not establish an attorney-client relationship. Confidential or time-sensitive information should not be sent through this form. The legal professionals in our office are here to help you every step of the way. Steven Jon Levine, Esq. offers legal representation by highly skilled professionals to serve your legal needs. If you wish to meet with an attorney or simply have a legal question, please contact our office. Whether you are facing a divorce or are simply preparing wisely for marriage, you will require the assistance of experienced Family Law professionals to assist you in navigating the complex Family Law system. The Law Firm of Steven Jon Levine, Esq., takes a pro-active approach to resolving divorce, custody, property, support, relocation and other Family Law disputes in a cost effective manner. Our legal services include negotiation, mediation, collaborative law and litigation. We carefully listen to our clients to determine their priorities and then structure legal strategies to achieve their objectives. During a legal career encompassing over four decades and prior to establishing his present firm, Steven Jon Levine was the principal matrimonial member of the firm of Vittoria & Forsythe, LLP and predecessor, a boutique Trusts & Estates law firm. He subsequently established the firm of Levine & Zelman, Esqs., which concentrated its practice in Family and Matrimonial Law and residential real estate transactions. In addition to providing representation in highly contested matrimonial litigation, Mr. Levine’s office advocates Alternative Dispute Resolution as a means of resolving marital issues. Mr. Levine served as a member of the commercial and no-fault panels of the American Arbitration Association and the New York Civil Court Arbitration Panel. He was also a member of the Arbitration and Mediation Panel of the Jewish Conciliation Board of America, Inc., one of the oldest arbitration and mediation forums in the United States. In an article published in the New York Law Journal, Mr. Levine introduced the New York Bar to this unique forum for settling family, business and other disputes. 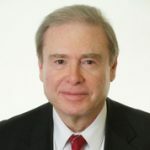 Steven Levine was liaison between the Matrimonial Committee of the Association of the Bar of the City of New York and the New York State Senate Judiciary Committee, during the drafting of New York State’s Equitable Distribution Law. He has lectured on matrimonial and Family Law issues, appeared as a guest on Court Radio and hosted the program Radio Lawyer, which featured interviews with prominent members of the matrimonial law community and discussion of the “nuts and bolts” of the Family Law system in New York. Mr. Levine’s legal column Please be Advised, appeared in the Tomorrow Newspapers. He co-authored Divorce Q&A; Answers to Questions About Divorce, Equitable Distribution, Maintenance, Custody, Child Support and Domestic Violence, published by Pace Women’s Justice Center. He has presented a continuing education program about matrimonial law to certified public accountants and an overview of matrimonial law to attorneys attending the New Directions program at Pace Law School. Steven Levine received his law degree from St. John’s University School of Law and was awarded an LL.M Degree by New York University School of Law. He also holds a Masters of Arts Degree from The City College of New York School of Education. Mr. Levine is a member of the American, New York, Westchester and White Plains Bar Associations and the New York City Bar Association. Elizabeth Zelman Friedman, Esq. is a advocate who is highly skilled in the resolution of difficult matrimonial and family law cases and in the representation of clients who require the protection of prenuptial and marital agreements. Elizabeth Zelman Friedman, Esq., has over 25 years of legal experience, concentrating in the areas of residential real estate transactions, including purchase, sale and re-financing matters with representation of sellers, purchasers, borrowers and lending institutions. Her concentration also includes matrimonial and family law, divorce mediation and wills and estates. Ms. Zelman Friedman received the Degree of Juris Doctor from Pace University School of Law. She is licensed to practice law in New York and New Jersey. Her bar memberships include the American Bar Association and the New York State Bar Association (member, Real Estate Section) and the Westchester Bar Association (member, Family Law Section). 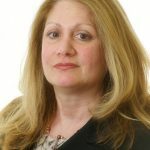 Prior to entering private practice, Ms. Zelman Friedman served as motion clerk/law secretary to a Justice of the Superior Court of the State of New Jersey. She is a former member of the firms of Levine & Zelman, Esqs. and Vittoria & Forsythe, LLP. In 2009, Ms. Zelman Friedman founded the Law Firm of Elizabeth Zelman Friedman, Esq. She is currently a Member of the Legal Panels for Hyatt Legal, ARAG Group and Ceridian Legal Network and continues her concentration in residential real estate transactions, matrimonial and family law, divorce mediation and wills and estates. 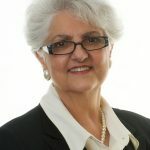 Sally A. Maurice has been an administrative/legal assistant for over 40 years, working with attorneys representing clients in matters involving matrimonial law, personal injury, wills, trusts and estates and commercial and private real estate. Her responsibilities include office management and the preliminary interview of clients and client contact, as well as assisting in the preparation of motion and trial materials. She formerly operated a paralegal service business. Ms. Maurice’s valuable experience and engaging demeanor are well appreciated by clients, other attorneys and court personnel. Our lawyers will provide knowledgeable guidance to address the financial and legal impact of divorce, separation and other family law matters. We will work closely with you to provide attentive and prompt service and sound legal advice. Our lawyers are prepared to address marital and family law issues through negotiation, litigation, mediation, or by utilizing a collaborative law approach. During the initial consultation, you will receive a clear explanation of the law which impacts you and outlines your rights as a client. The consultation will address your needs and answer your questions about family law matters in New York State, including divorce, legal separation, custody, parental access, spousal and child support, the equitable distribution of property, orders of protection and issues involving grandparents’ rights. We are available for consultation at convenient hours. You will find us to be highly professional, accessible, knowledgeable and caring about our clients and the best interests of their children. Never having had to hire a lawyer before and not being familiar with law, I found working with Steven very non-intimidating and easy. He made me feel very comfortable every step of the way. He answered all my questions without hesitation and was patient if I needed further explanation on certain matters. I highly recommend Steven. Steven and his team were very accommodating and a pleasure to work with. His years of experience definitely shine through with his knowledge and execution. He has a very genuine character and is an overall good person. You will find other articles of interest on the Articles page of this website. The hiring of a lawyer is an important decision that should not be based solely upon advertisements. This web site is designed for general information only. The information presented on this site should not be construed to be formal legal advice nor the formation of a lawyer/client relationship.